"Joseph is absolutely extraordinary, his patience through our home exploration a couple of years ago introduced us to him we never did buy a home then ... more "
"Joe and his Team helped us sell our home and buy another. He was totally involved in the selling and buying process, always keeping us informed and ... more "
The following are excerpts from some of the letters of recommendation that we have received. We are also happy to share the letters in their entirety, provide you with a list of references, as well as setup conference calls with some of our past clients. We would like to take this space to thank all of our clients. We all know that Teamwork got the job done! Our Warmest Regards - The Buono Team. "One of the most stressful experiences a person can have is selling a home, unless you are lucky enough to list your home with The Buono Team... I cannot express enough the fantastic job they did. They call themselves 'The Winning Team' and in my eyes, truly live up to the name. I would never sell another home without them and would highly recommend this team to anyone." "I never realized what a huge undertaking it would be to sell a house until I experienced it for myself... I could never have done this alone but with the professional help and guidance of The Buono Team..."
"...This was not the first home we purchased but you can be sure, it was the best experience we had with the 'process'. Our experiences in purchasing and selling homes in the past has always been uncomfortable and in some cases almost painful. In the instance of our simoultaneous sale and purchase we found your unique, personal and professional method refreshing and comforting..."
"Our sincerest gratitude and admiration to a truly 'Winning Sales Team'!... 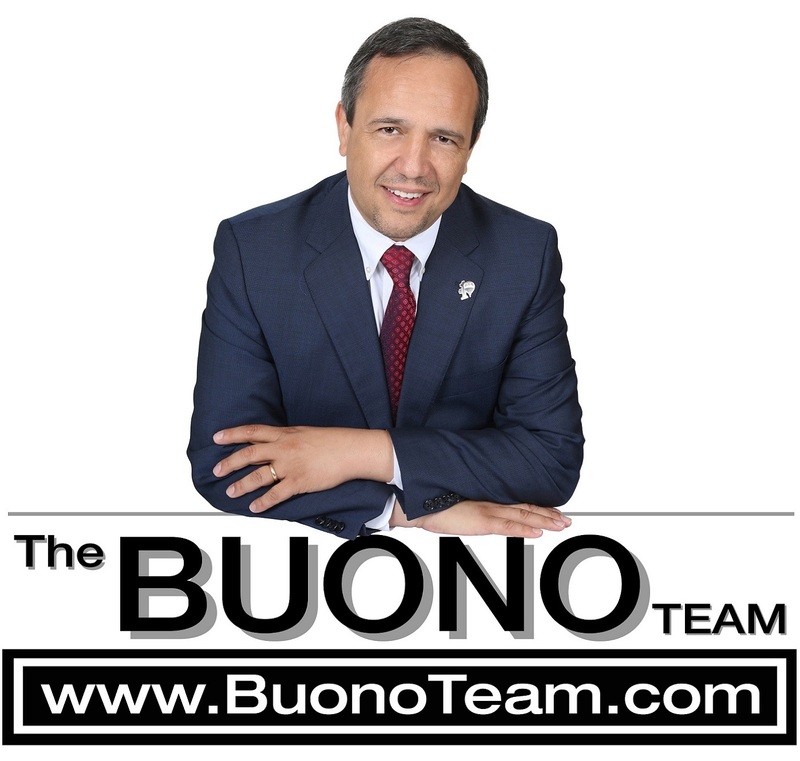 Please be advised that we highly recommend The Buono Team!!... As for us, we will definitely be using them for our future real estate needs." "...Particulary I feel the need to mention that my spouse and I, as immigrants, had a lot to learn in the process of acquiring a home. All studying alone certainly would not have us prepared...The Buono Team made us feel trusting and comfortable...Wholeheartedly I can recommend The Buono Team to pursue home ownership." This Space Reserved for Your Comments!